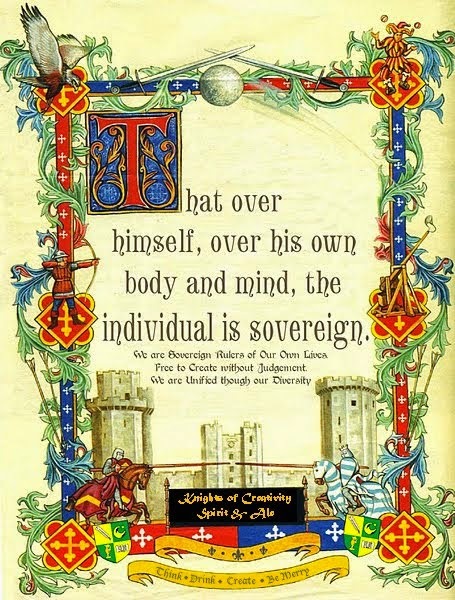 Knights of Creativity Spirit & Ale: Beware of...Idus Martiae! In the Roman calendar, the term ides was used for the 15th day of the months of May, July, October, and of course, March (the 13th day of the other months). 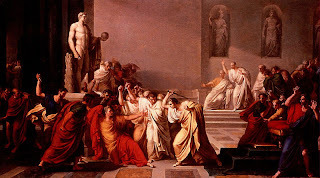 In modern times, the term Ides of March is best known as the date that Julius Caeser was assassinated, in 44 BC, the story of which was famously retold in William Shakesbeer, I mean, Shakespeare's play Julius Caesar. A soothsayer (you've got to love that word) relates to Caesar "Beware of the ides of March" warning of his impending death. So, the term has come to be used as a metaphor for impending doom. Doom? Here's some good news: With a little creativity the Ides of March can be made into a very MERRY event. As part of Philadelphia Beer Week, join us on the Ides of March for an evening of Shakesbeer with some Modern Day Bards of Beer. "The world's mine oyster stout". To quote Shakesbeer, "A quart of ale is a dish for a king". Modern Day Bards of Beer from six breweries, Flying Fish, Iron Hill, Sly Fox, Southampton, Troegs, and Yards will treat you royally, with beer fit for a king. And we'll have handmade beer crowns. By any other name would taste as sweet." 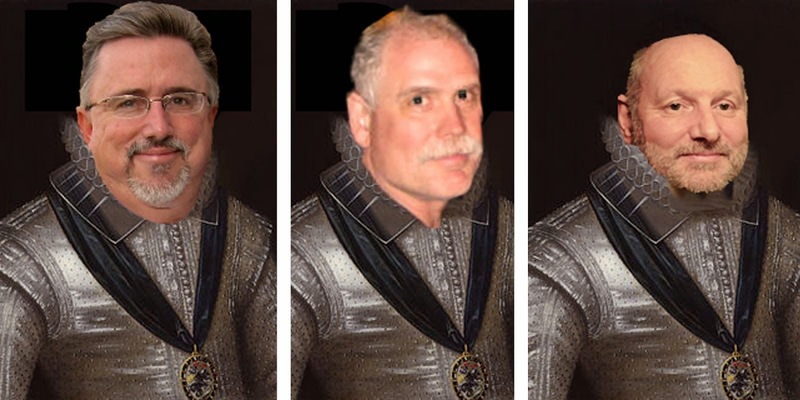 "Get thee to a brew'ry" Among Modern Day Bards of Beer joining us will be Spenser Neibur from Southampton, Suzy Woods from Sly Fox, Chris LaPierre from Iron Hill, Casey Hughes from Flying Fish, Steve "Red Steve" Mashington from Yards, and more. "Is this a lager which I see before me..."
"Two beers or not two beers, that is the question". Timed to begin after the end of the Michael Jackson Tasting, this will be a fun way to close up Philadelphia Beer Week. "Though this be madness, yet there is method in't." 9pm - ? Think, Drink, and (erasing all doom) Be Merry! Alas, in what Fish Bowl breaks? My taste buds bid my senses farewell to a golden maiden with a frothy head!